Instead, we decided to try and let them sit on duck eggs. Duck eggs do take 28 days to hatch, longer than the 21 days for chickens, but the chickens go by feel of the egg not an internal time clock. The hens know when to go on lockdown, where they don’t leave the eggs. When the eggs hatched, the hens seemed unaware that the ducklings were not normal. They showed them how to eat and how to dust bathe. Things seemed to be going along pretty well for a few days, and then we started noticing the ducklings having trouble walking. 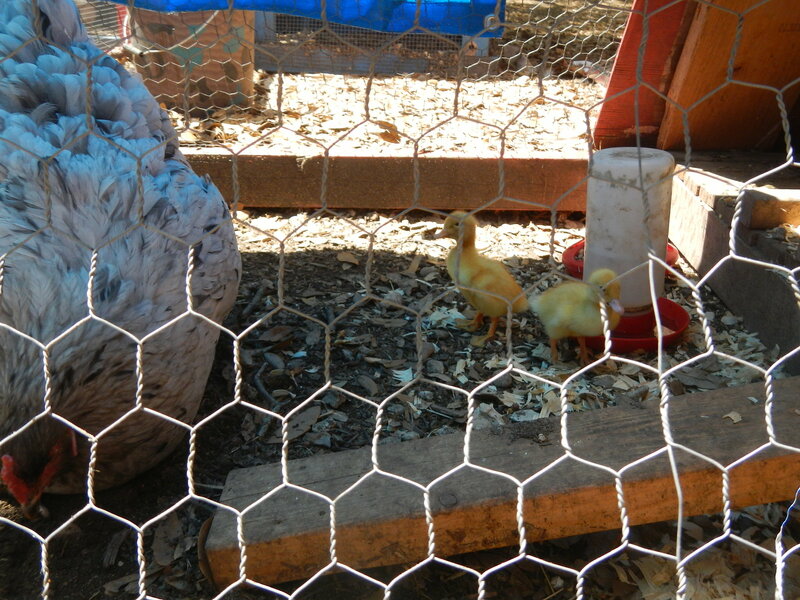 As we observed the hens and ducklings we found that the hens were stepping on the ducklings. It must be either the large feet or the large overall size, but the ducklings took too much damage. Currently we only have 1 of 4 still alive, and I’m not sure if the 4th is going to make it. This was a rough learning experience. 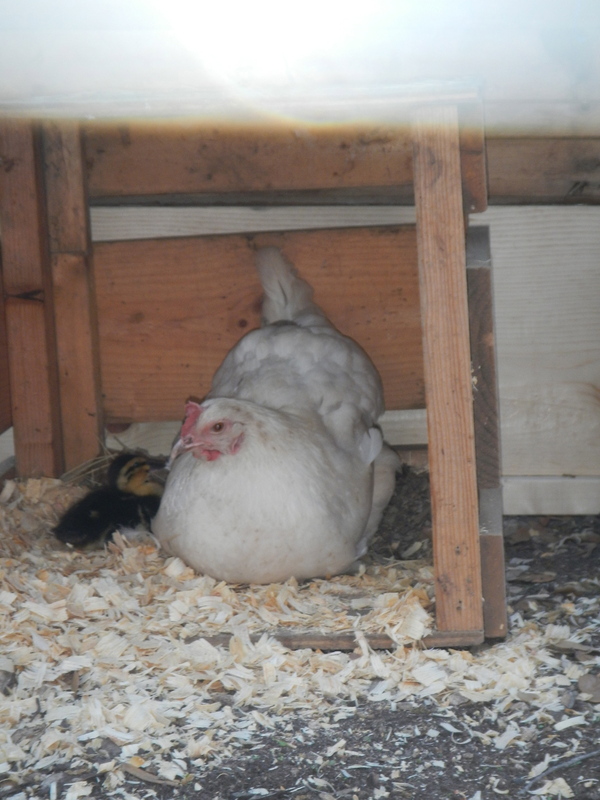 Although hens and ducks can live together in harmony, they cannot raise each other’s young. So, why were the hens stepping on the ducklings? Are ducklings slower than chicks? Just curious. Definitely slower. 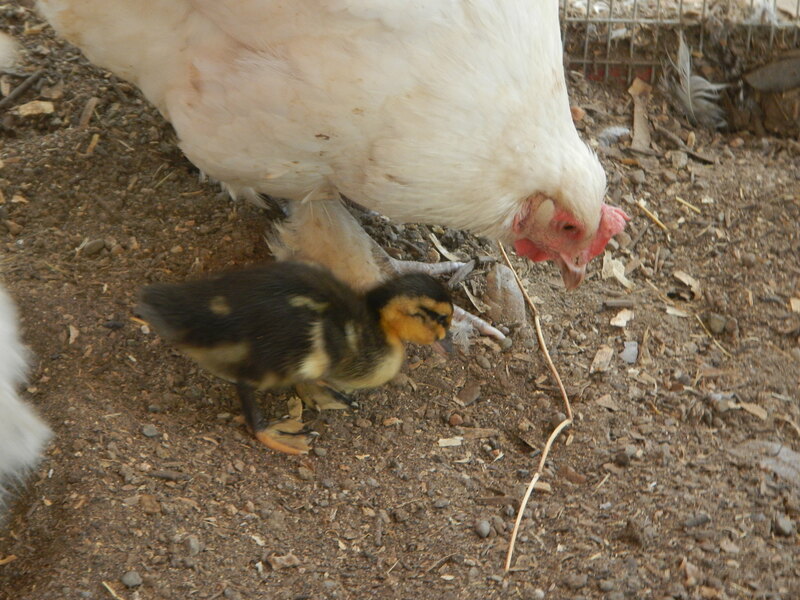 The chicks are really flighty, while the ducklings just meander around. Maybe that is why you usually see momma ducks keep the ducklings in a line, to keep them out from under foot.